Traditional Karate Academies (TKA) are a group of clubs teaching Traditional Karate. 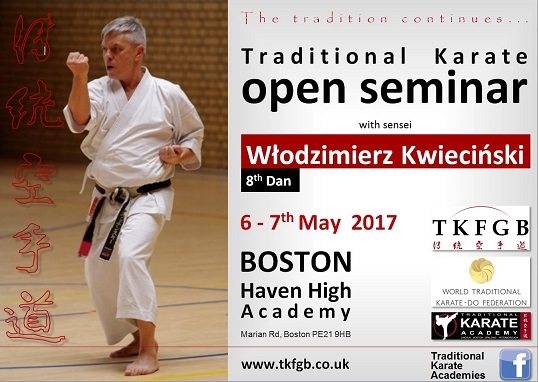 The group has its source in Boston where the first Academy was formed in January 2009 by Sensei Zbigniew Godzisz (4th Dan ITKF / WTKF). Currently there are 4 clubs associated: Boston, Spalding, Peterborough and Lincoln. 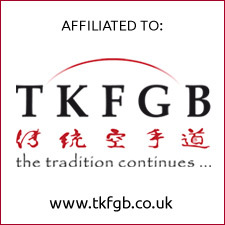 They are all affiliated to TKFGB (Traditional Karate-Do Federation of Great Britain) and WTKF (World Traditional Karate-do Federation). Traditional Karate is a martial art and system of self-defence. Literally “karate-do” means the way of the empty hand (or, according to some sources, Chinese hands), referring to the fact that its practitioners only use their hands, feet and body. Karate is founded on philosophical and spiritual tradition of Bu-Do and develops not only the body but also the mind and character. Ultimately, the purpose of karate is not just physical prowess but the state of balance, harmony and spiritual strength through disciplined training which imbues you with peace and wholeness of character, and enriches your day-to-day life. Check out the latest information published on the site!